Talk about eating seasonally. The last salad I showed, this pasta, and a soup I have coming up have all the same flavor base ingredients, and we change up the dish based on our desires. Need lighter? Go for the salad. Dinner with friends? Pasta for sure. Late season cold? The soup’s on its way, I promise. The flavors in question are garlic + green veggies + fresh herbs + lemon. In this case we add cheese and spaghetti for a super quick and flavorful pasta. There isn’t a huge amount of sauce, just enough to coat the pasta and veggies and make everything nice and silky. I made this a few weeks ago for two of my best friends; we managed a kid- and husband-free dinner and it was SO much fun. We also accidentally talked until almost eleven which is way too tired for us at this stage in our lives (they’re both pregnant), but I blame that on the pasta too. 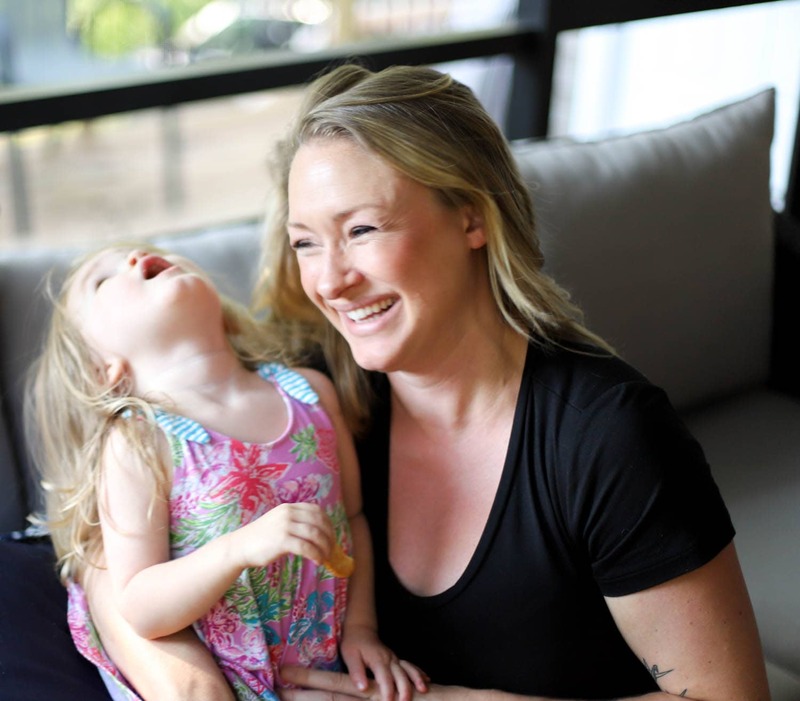 It lends itself to slow twirly bites between sarcasm and giggles and definitely begs for seconds. 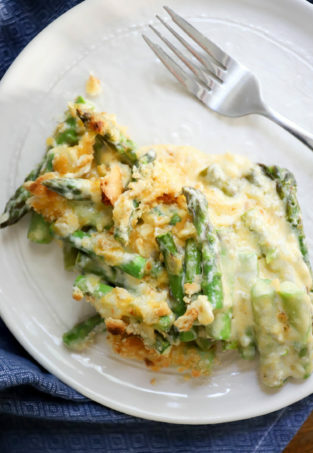 It’s full of green veggies and is vegetarian, so seconds are practically mandatory. 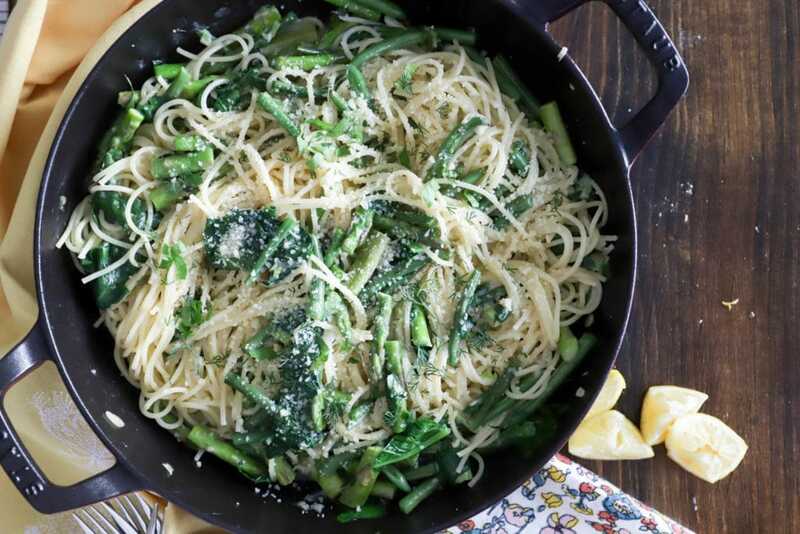 You’ll need garlic, green onions, green beans and asparagus, fresh spinach, fresh herbs, parmesan and fontina cheeses, heavy cream, and spaghetti. Lemon wedges for serving, naturally. Start by boiling the spaghetti in salted water to al dente. Right before you drain it, reserve about a cup of the cooking water, then drain the pasta and set it aside. 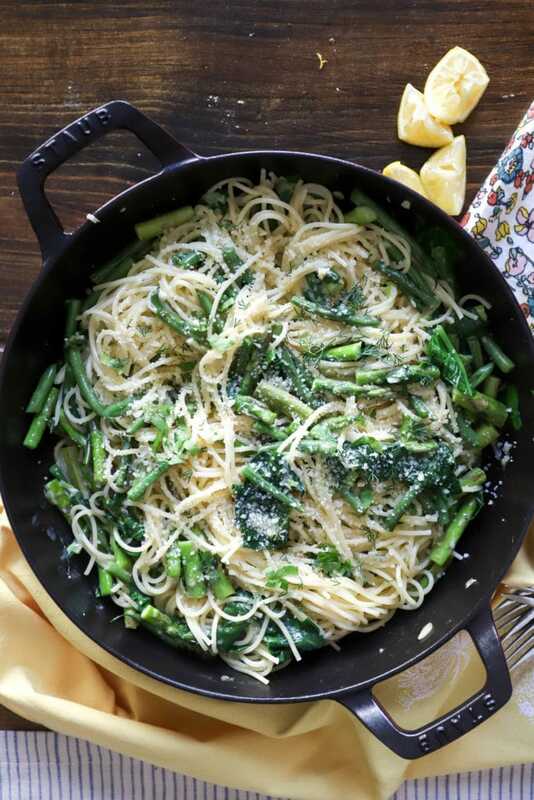 While the pasta is cooking, heat a large skillet with some olive oil over medium high heat and add the green beans and asparagus. Cook and stir the veggies for about 5 minutes to soften them just slightly. When the veggies are somewhat soft (but not all the way cooked), add the garlic and green onion and stir into the veggies for two minutes. Now, the rest of the ingredients go into the skillet. 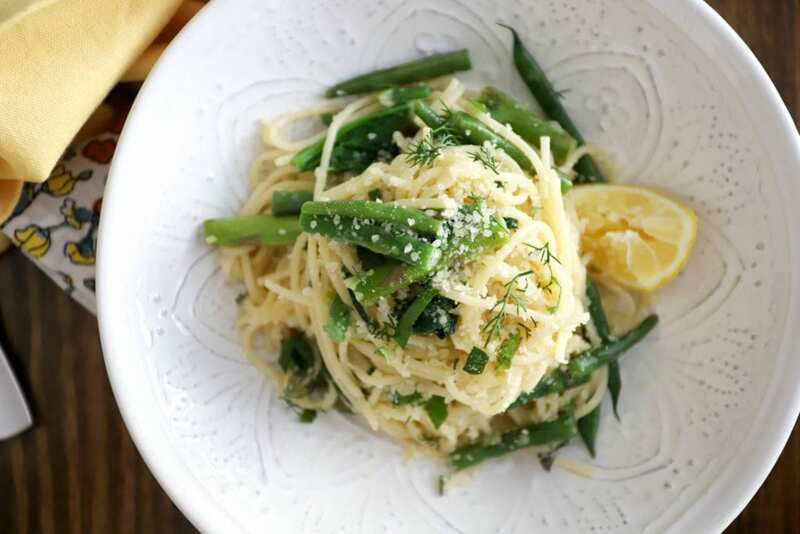 Really, the time it takes to make this dish is the time it takes to cook the pasta. To the veggies, add the pasta, fontina, spinach, half of the herbs, and the cream. Sprinkle the whole dish with salt. 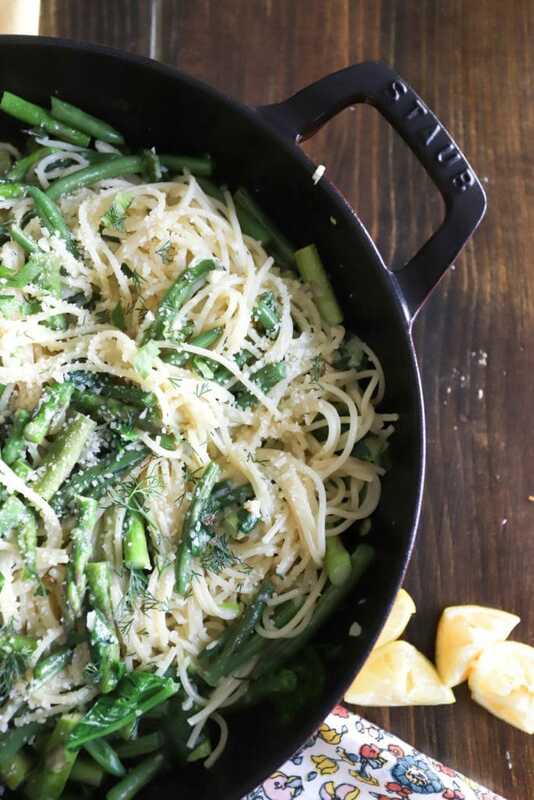 Pour a few splashes of the pasta water into the skillet and reduce the heat to low. 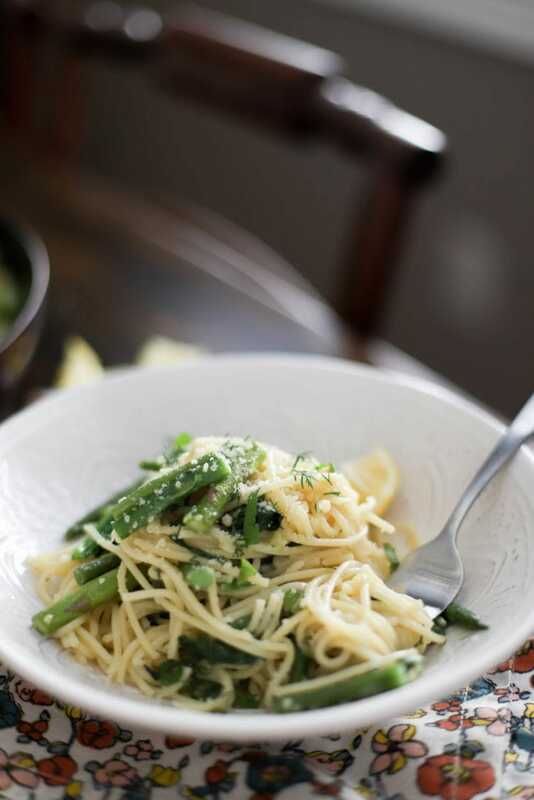 Use tongs to toss the dish together really well to melt the fontina and wilt the spinach. 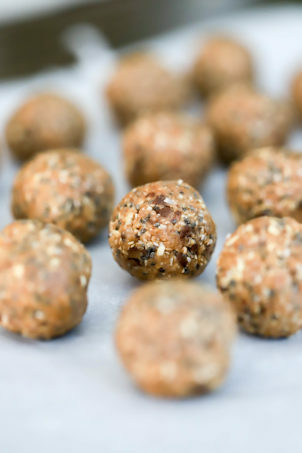 Taste a few times and add more salt to your preference, and a few grinds of pepper if you’d like. 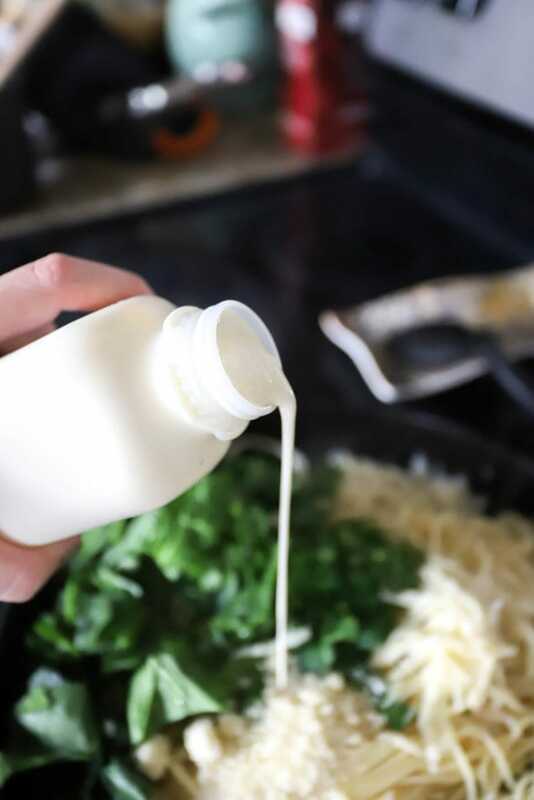 You can splash in more cooking water to help the cheese and cream coat all of the pasta evenly. When the ingredients are combined, the pasta is done. I serve it with extra parmesan, then sprinkle the remaining herbs all over the dish and throw some lemon wedges around for spritzing. 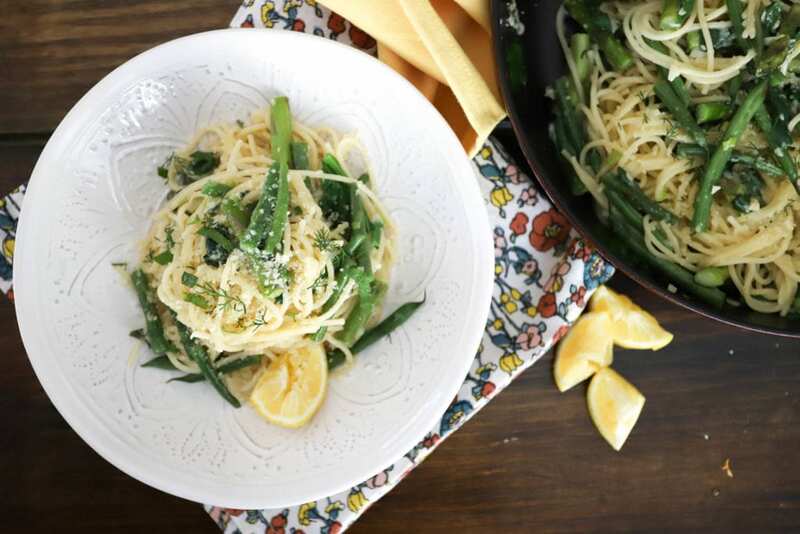 The lemon and the fresh herbs on top wake up the entire dish and are a great contrast to the cream and cheese. And so here is dinner. 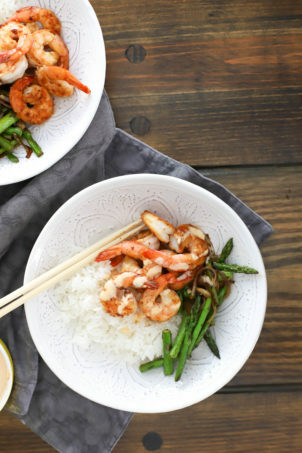 I love this for weeknights because it’s so fast, but it’s also great for company or a weekend after a long day of fun SURPRISE here’s a super quick but fancy-feeling meal. It’s because of the fresh herbs, probably. 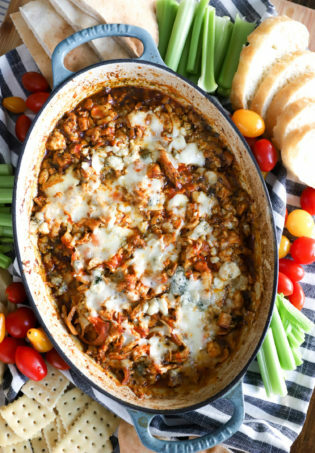 The great thing about this of course is that you could add more veggies + less pasta for a lower carb idea, throw in some chicken or shrimp to add more protein, or swap in any veggies that you like. 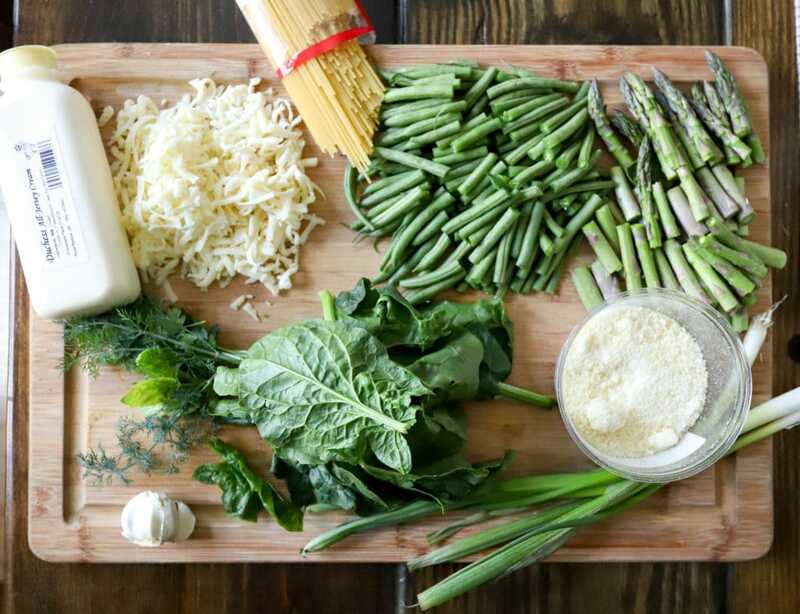 I love the all green effect, and the types of greens, herbs, and other veggies that would go well with the base of garlic, pasta, and cheese is practically endless. Welcome, spring! I feel good about this carb-loading endeavor. Cook the pasta to al dente in salted water per the directions. Right before serving, reserve a cup of the cooking water. Drain the pasta and set aside. Meanwhile, heat a skillet to medium-high heat with a drizzle of olive oil. 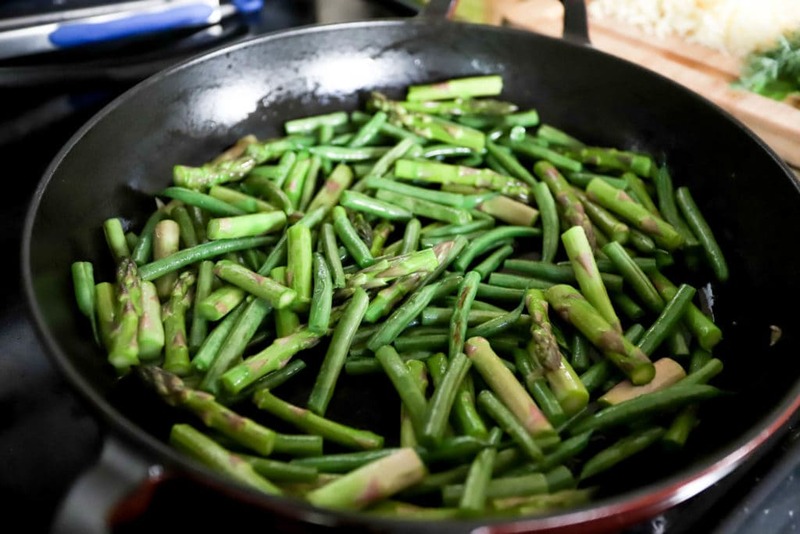 Add the green beans and asparagus and cook for 5 minutes, stirring as you go, until the veggies have softened slightly. Add the garlic and scallions and cook for 2 minutes more. 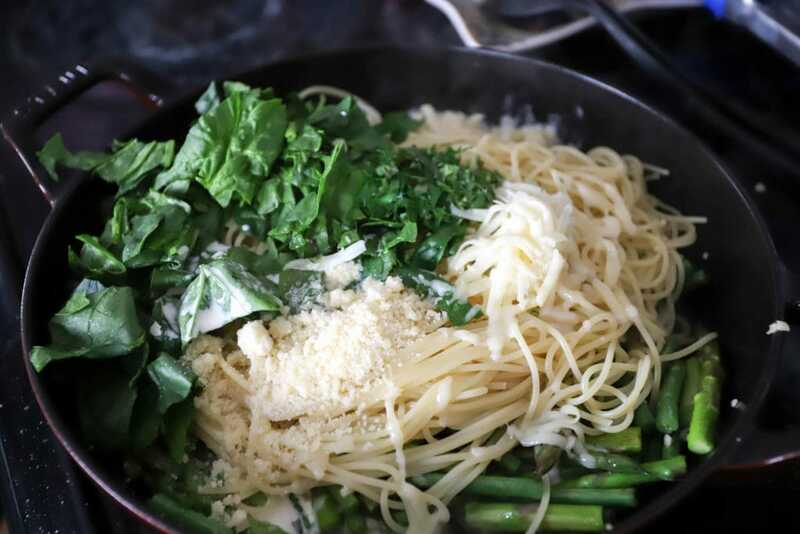 When the spaghetti is cooked and the veggie mixture is done, add the pasta to the skillet with the fontina, spinach, cream, parmesan, and half of the herbs. Reduce the heat to low and splash in some of the pasta water. Use tongs to toss the pasta together very well, tasting as you go and adding salt and pepper to your preference. Add more cooking water as needed so the cheese and cream evenly coat the pasta. When the pasta is very flavorful and evenly mixed, the dish is done. 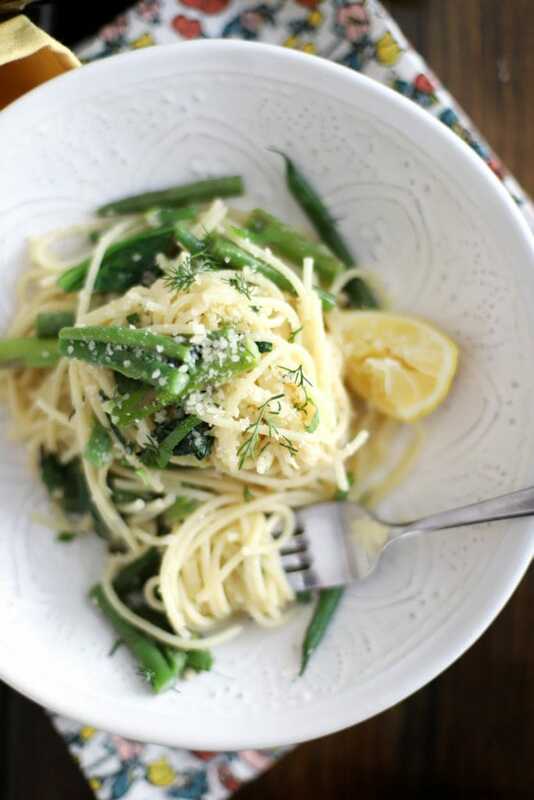 Serve with the rest of the herbs, lemon wedges for spritzing, and extra parmesan for sprinkling. Enjoy!